Ever since the introduction of Smartphone, we started using them more for chatting than typing. This is why we require advanced and fast keyboards on our smartphones. If you’re not satisfied with the stock keyboard on your device then you can download a third party keyboard on Android devices. An ideal keyboard app should be easy to use and secure at the same time. And since we all usually type our passwords using a keyboard on our Smartphone, security is a genuine concern. Hence, In this article we are listing 11 best android Keyboard Apps of 2019 that offer the best security. First in the list of best keyboard apps is Swiftkey. The application is leading the list of top keyboard apps from last few years and it is known for its cool design and for its compatibility with multiple languages. Swiftkey is now having floating keyboard design which means that you can drag the keyboard anywhere on the screen and can squeeze it or expand it as per your convenience. The Keyboard gives you personal predictions’ for emojis and words. 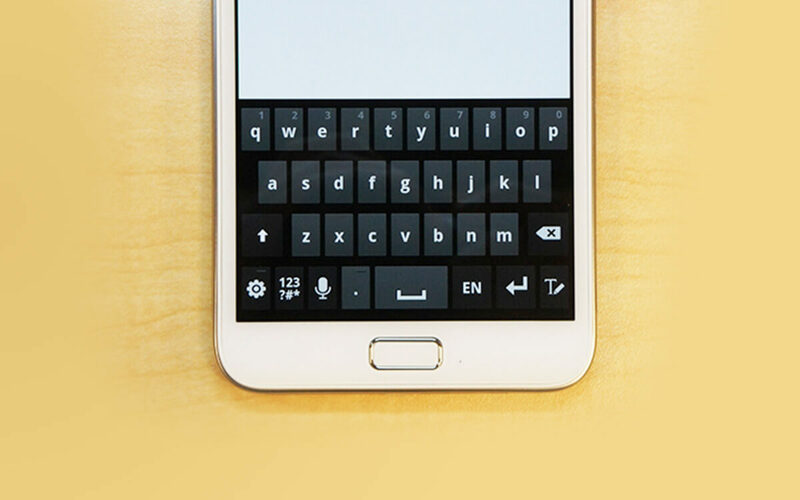 Next in our list of best android keyboard apps is from Google. Goboard is having many extraordinary features such as you will get a dedicated google search button with the keyboard by using this button you can quickly search things over google and can send the results to your friends. Another feature you will like about this keyboard is that you can set quick patterns to type a quick text. The application also gives you a small translator strip powered by google translator which helps you to quickly translate and send messages to your friends. Another fancy keyboard app for android is Go Keyboard. Undoubtedly application is loaded with some beautiful themes and emojis but you will need to deal with some annoying adds. With 10000+ themes and 1600+ emojis the application is first love for those who love to text a lot from their device. You can easily send Gifs and can set wallpapers as your keyboard background. Go and grab this application from the given link. If you love to share GIFs in your messages and looking for a tool which can allow you to quickly access GIFs then you should go for the GIF Keyboard by Tenor. By using this application you can quickly access to the GIFs which are trending and in just one tap you can resume to the normal keyboard. With this application you can also collect GIFs from other applications. Next best android keyboard app is Touchpal keyboard. On the app you can play with some funky fonts are really an effective method to through an impression over the receiver. On this application you can set a live theme in the background of your keyboard which gives your typing life and make it fun for you. The keyboard is having a strong spell and grammar checker which saves you from embarrassment because sometimes just few words can change the meaning of the whole sentence. This application also gives you a customizable bar on which you can set apps like notes, email and other frequently used apps. This is not only a keyboard but an effective tool to express yourself in 58 languages with its smart translator. If you often use your Smartphone, then the best keyboard you will on the play store is Neon Keyboard. As you can understand by the name itself that this keyboard is having neon light themes for which you can change colors. You can easily switch between languages by swiping space bar. You can easily increase decrease size of keys. You can also customize the sound and the type of vibration which you feel when you press keys. Another best android keyboard app is Fleksy. It is having some most required features such as you can select the text quickly swiping left this is how you can quickly delete typed text. Because of its strong spell check the keyboard can be considered as the best keyboard for the business purpose. You can search for fun stuff and for Gifs in just one tap and can quickly send them with the help of this keyboard. Like other user friendly and nice keyboard apps for android Minimum is loaded with amazing features to float the keyboard and to autocorrect smartly but there is one thing which you will most certainly find most strange is that you can align keys in a different ways or we can say it can give you a mini keyboard which is not qwerty but with all the keys aligned in the same row. This is not only a keyboard but also known as a proofreader which means it is having a strong spell and grammar check. Keyboard changes colors with the lighting conditions. If you are tired of taping then you can just say anything by swiping your thumb on the keyboard like other user friendly keyboards it is having gesture typing and multiple themes. We hope this list of best android keyboard Apps will make it easier for you to choose a third party keyboard for your android device. May be in 2019 we can see some more revolutionary keyboards or some revolutionary updates in existing ones.